On September 20th, 2018, our beloved sister, sister-in-law, aunt, great aunt and best friend passed away at the age of 59 years at her home. SHIRLEY SARAH HIND BULL was born January 1st, 1959 on the Blood Reserve, Alberta. Shirley was a member of The Church of Jesus Christ of Latter-day Saints. She had crippling and debilitating Rheumatoid Arthritis since before 16 years of age and developed other severe health problems, as she got older. Despite this, she served a successful mission for the church in 1984-85 in the Mesa Arizona Mission. She held many and various callings including leadership positions in the church throughout her life. She received a BA in English from Ricks College, Idaho. Talented in art and poetry, she illustrated a children’s book and had poems in the LDS New Era magazine and other publications. While attending Ricks College, Shirley had the opportunity to sing with the college choir in the Mormon Tabernacle during General Conference, which was televised worldwide. Despite her life-long crippling illness she worked voluntarily at the temple for many years and worked at several jobs even to management positions. Shirley never complained about her illnesses and was stanchly independent. Because of her severe health issues, she never married nor had children but her nieces and nephews were her children. She loved them deeply and they loved her as they would a mother. She supported family and always voiced her deep gratitude for her sisters’ and their spouses’ aide in taking care of her and being so much a part of her social life. Shirley Sarah is survived by her siblings: Sisters: Christine (Wayne Davis), Margaret Rose (Marvin Bevans), and Verdun Hind Bull-Morning Owl (Pat Morning Owl). Brother: Dewey Hind Bull (Cindy Plaited Hair). Half sister: Maryanne Crow-Healy (Harvey Healy). Aunts: Teresa Plume and Mary Twigg. And, her nieces and nephews and great nieces and nephews—her children—she was like a mother to all. Predeceased by her parents, Morris and Margaret (Twigg) Hind Bull, Grandparents: Chief Jack and Amy (Healy) Hind Bull and James and Lucy Rosa (Cotton) Twigg. Brothers: Anthony Hind Bull, Eugene Hind Bull, Morris Real Hind Bull, Jack Hind Bull and Christopher Twigg Sr. Aunts: Jose Heavy Runner, Verdun Weasel Fat/Chief Moon, Ada Weasel Moccasin, Kathleen Young Pine and Beatrice Big Swallow. Uncles: Allan Hind Bull, Jim Twigg, Albert Twigg, Eugene Twigg and Andrew Twigg. Nephews: Carl Twigg, Charles Davis Jr., Christopher James CJ Hind Bull, Christian Hind Bull, Lance Eagle Speaker, Kasikee Isaac. Nieces: Elysia Hind Bull.The family wishes to express appreciation to Dr. Clarke, the Standoff Health Care department and special HCA, friend and cousin Frankie Eagle Bear-Yellow Old Woman. 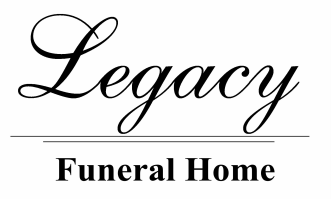 ​The Wake Service will be held at Legacy Funeral Home, Cardston on Sunday, September 23rd from 6:00 to 9:00 p.m. The Funeral Service will be held on Monday, September 24th at 11:00 a.m. at The Church of Jesus Christ of Latter-day Saints, Cardston Alberta West Stake Center (846 1st Ave W). Friends may meet the family from 10:00 to 10:45 am prior to the service. Interment to follow in the Hind Bull Family Cemetery.